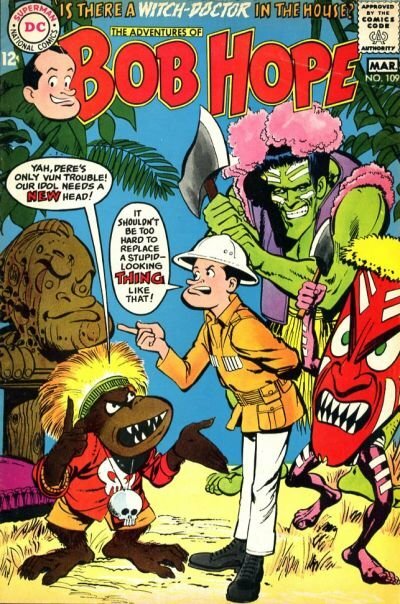 Click Here To See Adventures of Bob Hope #109 Comic Book! Check out this very nice SILVER AGE 1968 DC 1/2 page SPLASH, which was penciled and inked by the great Neal Adams, from the cover story titled: "Is There a Witch Doctor in the House?" 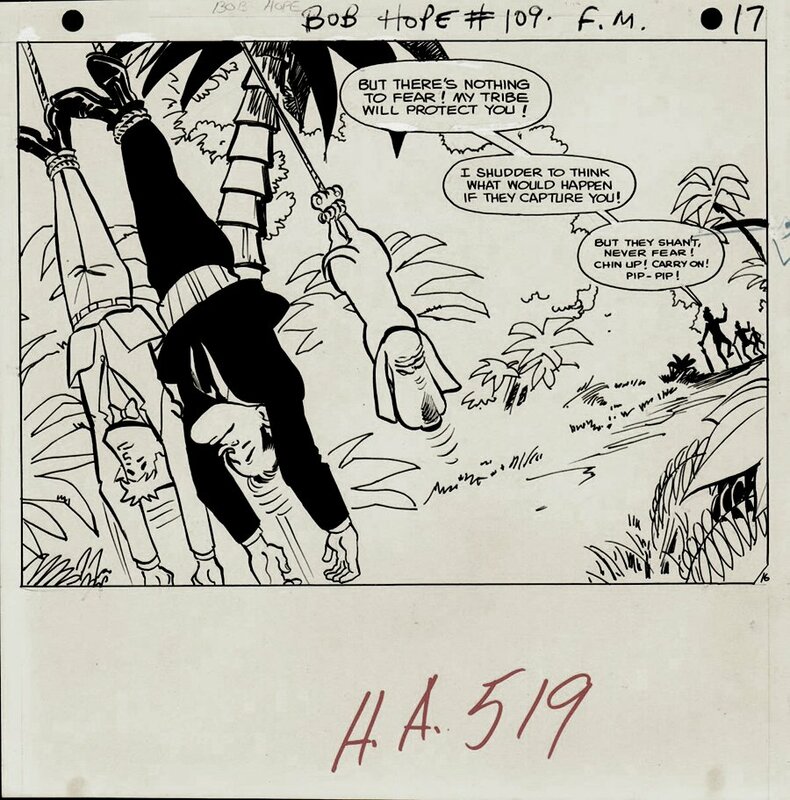 This nice page is from the story where Bob Hope tries to help Tad with his emotional problems, which results in them being kidnapped and sent to an island in the Pacific Ocean! This page had an ad for the top half so only 1/2 of the page was drawn...but it's a full splash! SILVER AGE DC pages are VERY hard to find in the hobby these days, so don't miss out on a great opportunity here to own a nice SILVER Age 1968 NEAL ADAMS penciled AND INKED DC page! ALL art on our website (including this one) are able to be purchased with VERY fair time payments, and trades are always considered towards "ANY" art on our website! Just send us an email to mikeburkey@aol.com and we can try to work something out.